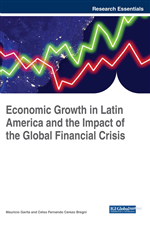 The present chapter analyzes fiscal privileges in Guatemala from a taxation point of view, identifying the cost that they incur through the tax expenditure methodology. The chapter also discusses the historical situation of Guatemala concerning taxes and its consequence for the social situation and its relation. Therefore, the conclusion of this chapter is that fiscal privileges are politics aimed at minorities that cost more to the society than the benefits they have in Guatemala, as a consequence there is a sacrifice in taxation by benefiting certain sectors. In fiscal policy, privileges began as a practice to help certain industries prosper. Warrington (1993) described fiscal privileges as different tax treatment that could be applied to assets or savings. The difference in the treatment is focused on the results that the privilege and the beneficial consequences could have to the society. As the International Monetary Fund (2009) states, “Fiscal Policy is the use of Government expending and taxation to influence the economy”; therefore, this influence could lead to growth, poverty reduction, mitigation of an economic crisis and other factors. This highlights that the main importance of a fiscal privilege is its purpose and how it will improve the social contract that exists in a society. Although the nature of the fiscal privilege aims to aid to society, in practice, it has been mostly used as a preservation of the elite. As Blaufarb (2012) states in his analysis of Provence, France, during the period of 1530 to 1830, nobles didn´t pay taxes from the outset and the use of fiscal privileges perpetuated this practice. In Granada, Spain, during the period of 1490 to 1495, the Spanish Crown offered, as an act for generosity and acceptance of the invasion, fiscal privileges such as the exemption of direct taxes Almería and Almueñécar (López, 1979). In Guatemala, this use of fiscal privilege has not been the exception. Since independence in 1821, an authoritarian state was created to benefit the economic privileges of the minorities (Commission for Historical Clarification, 1999). In the long run, fiscal privileges have had a harmful effect on society by affecting the political efforts in a search for equality. When a group benefits from a fiscal privilege, it has consequences that could result in a distortion of the market prices, destruction of the possibility of competition, and interruption of a perfect market. On a political level, the consequences are seen on the income of the state; since the fiscal privileges reduce the income this negatively affects the state because it reduces the price of public goods. This is worse when the fiscal privileges are cumulative and have no positive effects for the well-being of citizens (Ihori, 2015). This discussion led to the change of the term ‘tax privileges’ into the more positive term ‘tax incentives’. It is also common to find the term ‘tax benefits’ in the same area. Although, there is an argument that tax privileges, tax incentives and tax benefits are the same, in the nature and political purpose, there is no significant difference. Tax incentives are often related to investments as a public policy to attract companies. The OECD (2014) refers to tax incentive as ineffective, inefficient, and often linked to abuse and corruption. Tax incentives are characterized by being poorly designed and often helping a particular minority. Alexander Klem (2009) stated that the benefit of a tax incentive is hard to assess, difficult to quantify, and is often controversial in the long run. The Institute of Taxation and Economic Policy (2013) lists the pitfalls of tax incentives in four categories: 1) they are not crucial when a business decides their investment strategy, 2) it is impossible to design a tax benefit that would behoove the state, 3) it creates distortion in the market and disloyal competition, 4) is often paid by the citizen, and 5) the effect of small tax incentives is that they don’t affect decision making but if the tax incentive is high, then it will affect the state. An argument for tax incentives is often designed for business that need assistance to grow, such as in the case of entrepreneurs. The study elaborated by Harju & Konosen (2012) to examine if a tax incentive will positively affect entrepreneurs demonstrated that the policy is extremely costly and the results are minimal. Tax incentives do not motivate entrepreneurs in their decisions. The UNCTAD (1996) demonstrated that the consequences of the incentives between the United States and Western Europe in the period of 1983-1995 where that the tax incentive cost USD 13,000 to USD 250,000 per job, and that this increased steadily.